Information regarding protection and process of users personal data are provided in pursuance of Section 13 of Legislative Decree no 196/2003. With the following declaration CULTI Milano S.r.l. wants to inform the Client about its aims and ways of processing the personal data and ask for permission of using them for specific purposes. Reading this information, the Client will be informed about purposes and ways of collecting and dealing with personal data supplied while surfing www.culti.com and during the placement of an online purchase order. The Client will be able to visit the website www.culti.com without giving personal data. During navigation of the above mentioned website, it will be possible in any moment to identify the Client who will be anonymous, unless he decides to communicate his data and/or log in to his account typing Username and Password. The client can print and/or save this information using the normal browser functions (File =>”Save with name”). This page describes the management methods of the www.culti.com website with reference to the processing of personal data of users who consult it. This is an information that is also provided pursuant to art. 13 of the legislative decree n. 196/2003 – Privacy Code-, and in accordance with the EU Regulation 2016/679, to those who interact with the web services of Culti Milano S.p.a., accessible electronically from the address:www.culti.com, corresponding to the homepage of Culti Milano S.p.A. The information is provided only for Culti Milano S.p.A. (www.culti.com) and not also for other websites that may be consulted by the user through possible links. The Recommendation and a summary description of its purposes can be consulted on the web. 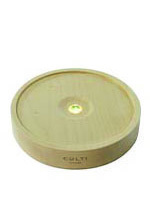 The Customer can browse the www.culti.com website without having to communicate personal data. While browsing the aforementioned site, at no time will it be possible to identify the Customer, who will remain anonymous, unless he decides to communicate his / her data and / or access his / her account by typing username and password. The Customer can print and / or save this information, using the normal browser functions ("File" => "Save As"). The data processor is Culti Milano S.p.A., in particular the Chief pro tempore, based in Milan (Italy), Via Santa Sofia n. 27, which independently decides on the purposes and methods of processing, as well as on the security procedures to be applied to ensure the confidentiality, integrity and availability of data. The company in charge of maintaining the technological part of the website has been designated as the external data processing manager. All third-parties companies that use Culti Milano to execute purchase orders are also appointed as external processors. Each interested party may, at any time, requests the data of the third party companies to which their data have been provided for the purposes expressed. The processing related to the web services of this site takes place at the aforementioned office of Culti Milano S.p.A. and are only handled by personnel duly trained in privacy and in charge of processing. In case of necessity. the data connected to the service can be processed by the personnel of the company that takes care of the maintenance of the technological part of the site, named as the external responsible of the treatment. The computer systems and software procedures used to operate this website acquire, during their normal operation, some personal data whose transmission is included in the use of Internet communication protocols. These data are used for the sole purpose of obtaining anonymous statistical information on the use of the site and to check its correct functioning and are deleted immediately after processing. The data could be used to ascertain responsibility in case of hypothetical computer crimes against the site, for which reason it will be necessary to hold data on web contacts for a longer period, according to the needs of the competent authorities. The user is free to provide personal data contained in the request forms in order to use the e-commerce service or to obtain answers to information or requests to send informative or other material. Failure to provide such data may make it impossible to obtain what has been requested or complete / refine the order and delivery of the goods requested. registration are marked with an asterisk the data needed to access the s related services. Anything not marked is an optional and voluntary contribution of the user. Personal data are processed with automated tools for the time strictly necessary to achieve the purposes for which they were collected. Specific security measures are observed to prevent the loss of data, illicit or incorrect use and unauthorized access. list below the specific purposes and methods of processing for which the personal data of the Customers. a. Purchase order: CULTI Milano collects and processes the personal data of the Customer for the collection and execution of purchase orders, for any complaints subsequent to the purchase and to provide the Customer with the available services. These data are necessary for the management of purchase orders, also with commercial partners (for example, suppliers of logistics services, couriers, banks, etc.). It is advisable to enter a delivery address and a correct telephone number to give a purchase order and allow CULTI Milano to give prompt and correct execution. A telephone number is also necessary in order to allow CULTI Milano to contact the customer for any questions or requests for clarification and to allow the commercial partners of CULTI Milano to promptly and correctly execute the customer's purchase orders. Finally, the e-mail address is necessary to CULTI Milano in order to communicate to the customer the confirmation of receipt of the purchase order and for other communications. The e-mail address is used at the time of identifying the customer to allow him to access his account. b. Restricted Area - Client's Login: Customer's personal data and those regarding his purchase orders are saved in the CULTI Milano system, but will not be freely accessible for security reasons. 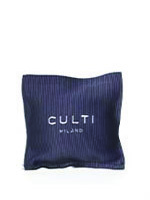 CULTI Milano guarantees each customer access to a reserved area by means of a password protected. In this area, the Customer can view all the data concerning the purchase orders executed and those in progress and can also manage their personal data, any bank details and those related to the subscription of the newsletter service. The Customer is required to treat the access data in a responsible manner and in compliance with the regulations in force and not to disclose it to third parties. 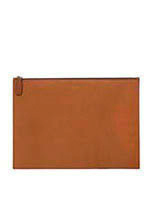 CULTI Milano will not be in any way responsible for incorrect or improper use of the password by the Customer. c. Advertising: CULTI Milano uses the Customer's data for promotional purposes, to send information about the items offered to the customer. The Customer's e-mail address will only be used within the limits prescribed by the applicable legislation or, where necessary, after the express consent (flag in website) has been given by the Customer. Customer will receive advice on purchases regularly via e-mail. It is possible to stop the sending of the abovementioned promotional messages free of charge, by sending an e-mail request to culti@culti.com. d. Market research and surveys: the personal data of the customer are also processed in order to perform market research and surveys. The use of the same is done anonymously and exclusively in order to compile statistics for CULTI Milano. At any time the Customer has the right to object to the treatment. The answers provided by the Customer in the context of such market research and polling surveys are neither disclosed to third parties nor made public. Answers to our survey questions are not stored together with the email address. f. Subscription to the newsletter: in the newsletters the Customer will find information about advantageous offers from time to time. CULTI Milano invites the Customer to include personal data (for example, his name) in the newsletter settings, so that CULTI Milano can personally contact the Customer. 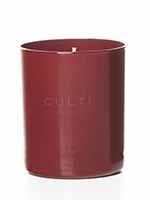 Naturally, the Customer may contact CULTI Milano also anonymously or with a pseudonym (for example, by using a free e-mail address that does not reveal his name). CULTI Milano will process the data collected as part of the newsletter service in order to customize and adapt the services to the interests and preferences of the customer, as well as for promotional purposes and market studies. CULTI Milano will store the data collected for long periods of time, it being understood that such data will in any case be used solely for the purposes set out in this statement. By the consent for newsletter and commercial informations, the data will be transferred to a Society in USA. That Society guarantees the compliance with privacy law. g. Prize competitions, special openings, offers, events and sales: in case of any prize games, CULTI Milano will use the Customer's personal data (and, in particular, its e-mail address or telephone number) to communicate results and for promotional purposes. The Customer can have more detailed information by viewing the conditions of participation from time to time prepared for each individual game. The data provided may also be used to communicate any extraordinary openings, events, offers and sales. Customer's personal data is transferred in encrypted form. This applies to both the conferment of purchase orders and the confidential access of the customer to his account. Although it is not possible to guarantee absolute protection CULTI Milan has adopted for its systems, security measures against loss, destruction, access, modification or disclosure of customer data by unauthorized third parties. The personal data provided by the Customer may be disclosed to third parties for the purpose of processing purchase orders or for the purposes of point g of the preceding paragraph. By reading this information, the Customer gives his express consent to the processing and communication of his personal data for the purposes and with the procedures described in the previous Section This consent is recorded in the systems of CULTI Milano and may be revoked by the Customer in any moment, with immediate effects, without prejudice to the use already made in constant consensus and without prejudice to possible consequences.